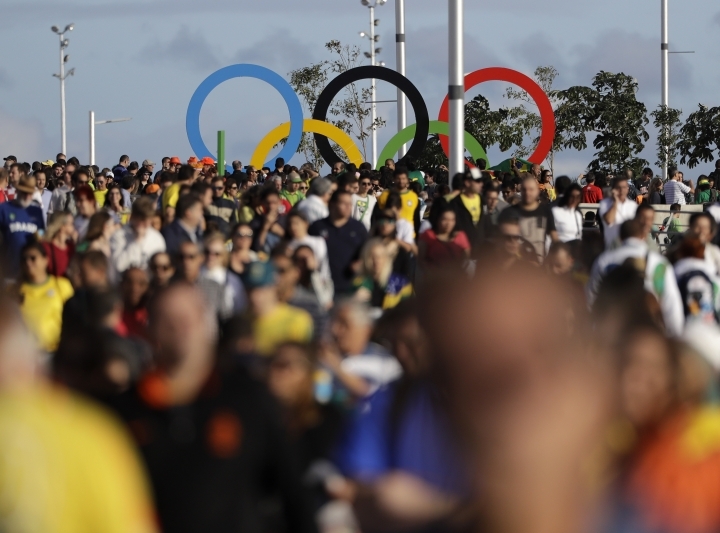 RIO DE JANEIRO — The International Olympic Committee is fending off massive cyberattacks during the Rio de Janeiro Olympics. "Throughout the games, the same in London (in 2012) when you are the center of attention of the world, there are massive attempts everyday all day long to break our security," IOC spokesman Mark Adams told the Associated Press. "We have it all year round anyway but it's particularly intense at the moment." The IOC is coming under "regular attack," he said. The Court of Arbitration for Sport warned earlier this week of attempts to break into its website. The sports court is overseeing doping sanctions at the Olympics for the first time. The World Anti-Doping Agency has disclosed a successful breach of its system by hackers, who gained access to Russian whistleblower Yulia Stepanova's account for the ADAMS database, which tracks athletes for drug testing. The 800-meter runner and her husband provided evidence that exposed the doping scandal in Russian track and field. Stepanova has been barred from competing in Rio because she served a past doping ban. WADA said Saturday that Stepanova's password for ADAMS was "illegally obtained, which allowed a perpetrator to access her account." The database is used by athletes to enter so-called "whereabouts" information which they are obliged to provide in order to make themselves available for drug testing outside competitions. Someone with an athlete's credentials could potentially change that information, sending testers to the wrong location, potentially leading to athletes being wrongly blamed for missing a test. Users of the database have been receiving so-called phishing emails disguised as official WADA communications requesting their login details. "Through WADA's regular security monitoring of ADAMS, the agency noted that someone, other than Ms. Stepanova, had accessed her account," the agency said. "WADA immediately locked Ms. Stepanova's account to prevent further access and notified her of the situation."